This beautiful hair bow is made of premium silk/rayon velvet. Super soft, extra shinny and perfect for the holidays! • ONE hand-tied knotted bow attached to an alligator clip with teeth – made to fit comfortably yet securely. 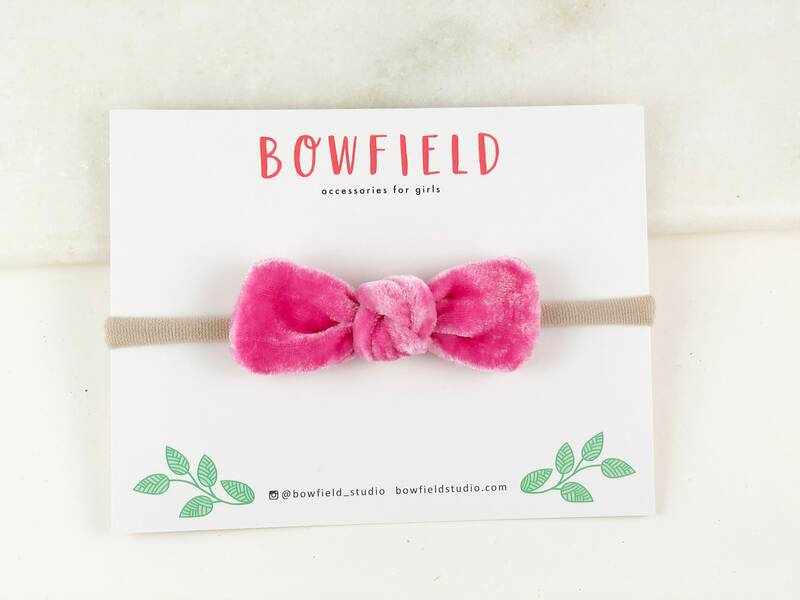 • ONE hand-tied knotted bow headband. Our nylon headbands are the best quality you can find! Soft, stretchy and will grow with your child over time WITHOUT losing its shape. Our headbands make great newborn bows because they're comfortable and gentle! Perfect for take-home outfits and newborn photo props. Each bow measures ~ 1½" x 3½”. 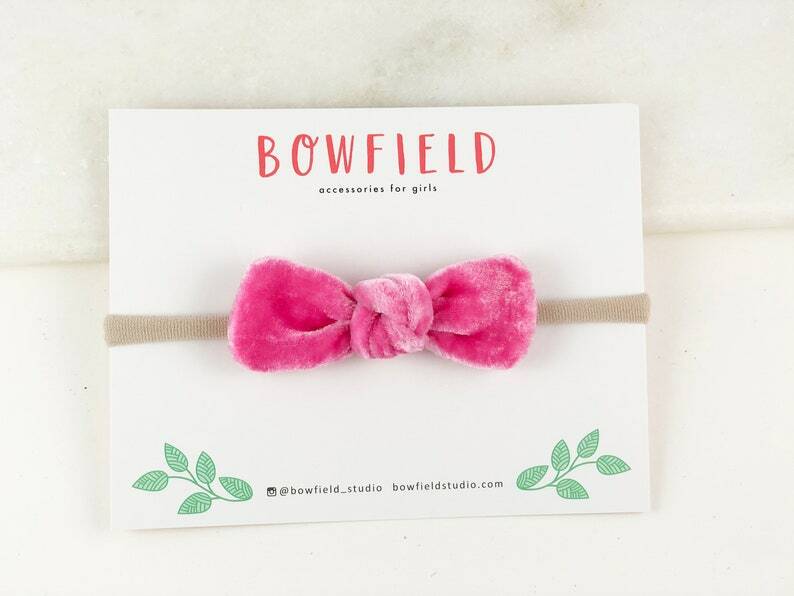 ★ Looking for a bigger bow for your babe? We make oversized schoolgirls too!